CPT12 now offers Flash Seats digital tickets for select events. 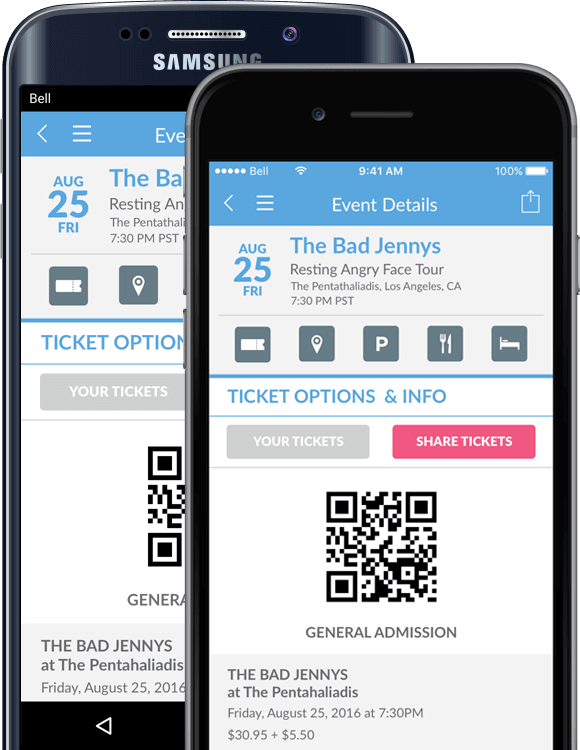 There are no paper tickets and you can quickly enter the event with the Flash Seats Mobile App for iOS or Android, your credit/debit card, or your driver’s license. You can also transfer tickets to friends. If you do not already have a Flash seats account, one will be automatically created. Then you simply need to complete the registration process to access your tickets. As you approach the entrance, open the app and click “mobile ID” at the bottom of the screen. Show the Mobile ID to the gate attendant who will scan it for entry. If you do not have a mobile device or are unable to download the Flash Seats app, you can enter the event with a driver’s license or credit/debit card, but you must first go to flashseats.com and add the driver’s license or credit/debit card to your Flash Seats account. Once you have registered your ID, you can simply bring the registered driver’s license or credit/debit card to the event, and the gate attendant will swipe your card for entry. PLEASE NOTE: When you enter the venue with Flash Seats, the entire party must be present. So if you bought 4 tickets, then you must have the other 3 people with you to enter the event. Can’t attend the event? You can easily transfer Flash Seats to another individual. Login to your account, view the tickets, and select transfer. Have a question? Get the answers to some frequent questions about Flash Seats. Why is digital ticketing better? When will I get the email with my tickets? And who will it be from? You will receive an email with a link to your tickets within 7 business days. How do I access my Flash Seats tickets? Within 7 business days, you will receive an email with a link to your tickets on flashseats.com. Click Register at the top of the page. You will be asked to enter some basic account information, followed by your credit card or driver’s license information. YOU WILL NOT BE CHARGED – your credit card or driver’s license information is simply a unique identifier that you can use to enter the event instead of using the mobile app. Alternately, you can register using the Flash Seats mobile app, which is available for iPhone or Android. After completing the account information, you may buy, sell or manage any seats in your account. What ID is needed to enter the event? You can enter events with a Mobile ID through the Flash Seats mobile app, which is available for iPhone or Android. Alternately, you can enter events with any valid credit/debit card or driver’s license, but only if you have registered the card on your Flash Seats profile. How do I add an ID card to my Flash Seats account? If you do not have a mobile device or are unable to download the Flash Seats app, you can add a driver’s license, state ID card, or a valid credit/debit card to your Flash Seats account in order to enter events. To add cards, log into flashseats.com, click Account, and then click Identification. Can my friends and I enter separately if we bought tickets as a group? No. When you enter the venue with Flash Seats, the entire party must be present. So if you bought 4 tickets, then you must have the other 3 people with you to enter the event.